So many acronyms. But only one matters: ROI. And when calculating your return on investment (ROI) on search engine marketing (SEM) or social media advertising (SMA) spends, the only acronym that can prove ROI is CPC (cost per click). CPC is directly correlated to ROI. For my dollar, Facebook is hands down the cheapest advertising platform at just 8 cents per click. But just because LinkedIn costs me 2 dollars for every click doesn't mean it's wasted money. 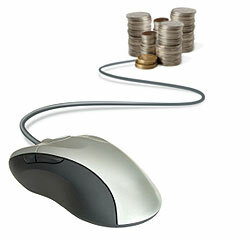 In fact, the advertising platform with the highest average CPC is likely your best spent cents. As long as you've fine tuned your ad copy through A/B testing and honed in on your target audience with the right keywords (and any other targeting criteria available), the platform with the highest CPC is also the network with the largest, most-active population of people you're trying to reach. It's also the network where your competitors are advertising. That's why it costs so much to engage with them. But every industry will have different results. So which platforms are you advertising on? And which has the highest ROI?